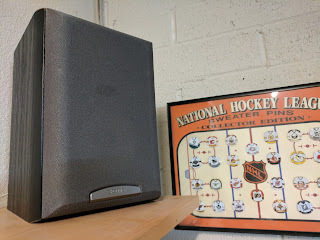 I was trying to find a good outdoor speaker solution for my patio that incorporated Chromecast Audio so I can cast tunes to groups and individual zones just using Google Assistant. 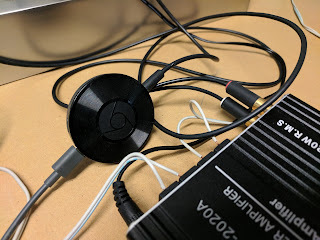 After looking at a lot of Google Cast built in options I wondered about smaller amps and bookshelf speakers. 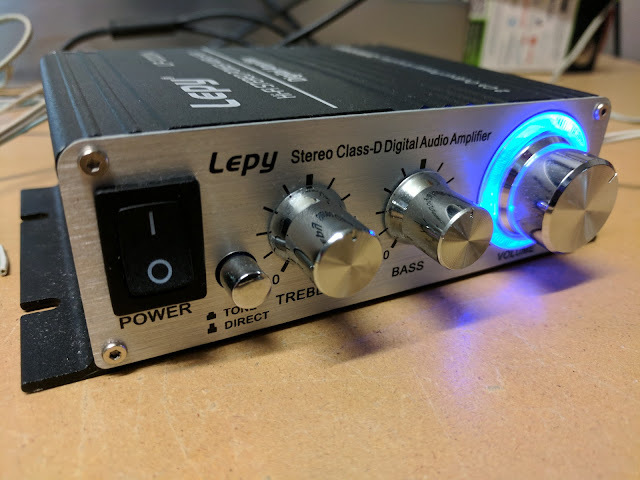 That's when I found the Lepy LP-2020A. 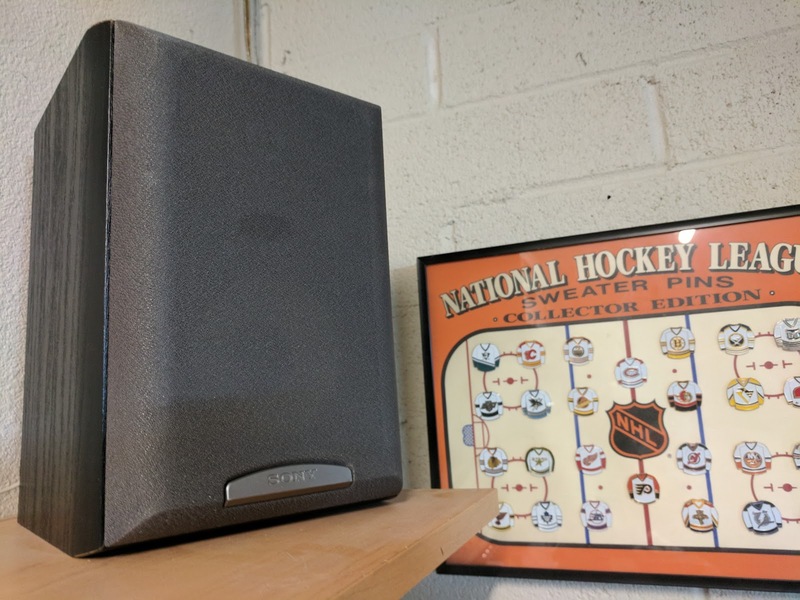 This tiny amp with an output power of 20Wx2RMS won't blow your doors off their hinges but hooked up to the Chromecast Audio and some bookshelf speaker it does a fantastic job of filling the space with tunes in the backyard or garage. I've ordered a pair of Dual Electronics LU43PB outdoor speakers for the patio and will move the Lepy and CC Audio to the back patio when they arrive. Lepy was about $20, speakers are about $35, and the Chromecast Audio is $35. Not bad for a $90 set up.